Discover Goldea, The Roman Night Fragrance that evokes the energy of a starry night in the Eternal City. Be inspired by the new Bulgari seductive fragrance! Goldea, The Roman Night shines with the brilliance of the original Goldea fragrance, the natural evolution of its golden inspiration. Exalting gold in all its forms, BVLGARI forges a fragrant preciousness in each Goldea creation, every one created for a different facet of a woman. Dea is the Latin word for ‘goddesses’, symbolizing the name of the collection but also the passions of the Roman perfumer-jeweller. Reflecting the inimitable light of Rome, Goldea the Roman Night captures the nocturnal shine of Rome’s stars and the grandeur of the Eternal City at night. 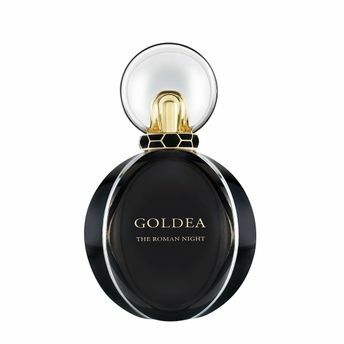 The tale of the Goldea, the Roman Night goddess is a story told within the creation of its seductive, powerful fragrance. Explore the entire range of Perfumes (EDT & EDP) available on Nykaa. Shop more BVLGARI products here.You can browse through the complete world of BVLGARI Perfumes (EDT & EDP) .Alternatively, you can also find many more products from the BVLGARI Goldea The Roman Night Eau De Parfum range.